The house is situated in a very quiet place between the towns of Amarante and Marco de Canaveses, inserted in a biological farm with 20 ha. Within 300 meters one finds a supermarket, and restaurants can be found in 5 Km. 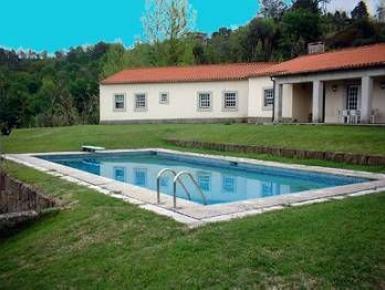 The farm is located near the Ovelha and Tâmega rivers, 25 Km from the Douro River, 10 Km to the town of Amarante and 7 Km to Marco de Canaveses, 54 Km from Porto. Property is equipped with central heating and offers accommodation for up to 6 persons in 3 bedrooms, 2 bathrooms, a large living room with snooker table, open fire place and TV, dining area and a fully equipped kitchen with a full range of appliances (dishwasher included), laundry room with washing machine.